There’s always something to do right outside your door at Ten Trails! With so many parks and green spaces nearby, you and your family members have your pick of places for outdoor recreation! Lake Wilderness Park has amenities suited for all ages, and also is a featured stop along King County’s Green to Cedar River Trail. This popular area trail is set to be expanded by the county, with the new southern segment of the trail reaching Flaming Geyer Park, and running right alongside our community! Just a few minutes from Ten Trails is one of the area’s largest regional parks. 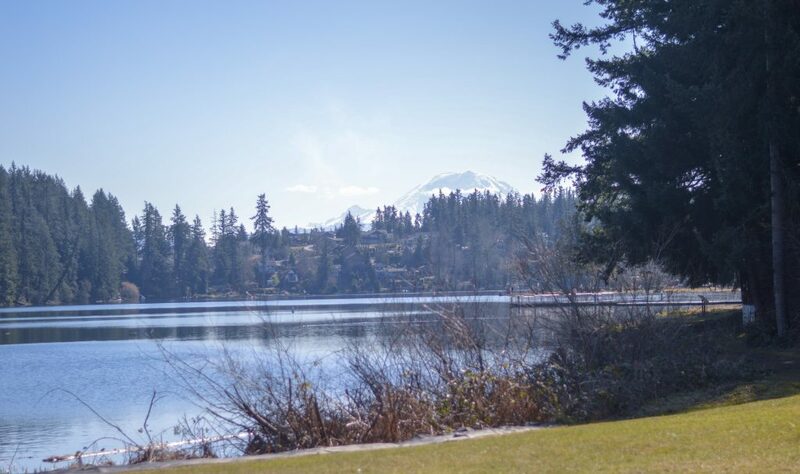 Lake Wilderness Park is 117 acres of preserved forestland, shoreline, wetlands and, of course, the large freshwater lake. In addition to the natural features, the park also has play structures, tennis courts, a boat launch, and picnic shelters which are available to rent for parties or private events. Lake Wilderness Park is the site of events held throughout the spring and summer months including the Fishing Derby put on by the Maple Valley/Black Diamond Chamber of Commerce. This year’s derby will be held on April 26th and Ten Trails is a title sponsor! The park is also the location for the annual Maple Valley Days festival held July 7-9th as well and the July 4th Fireworks Celebration. 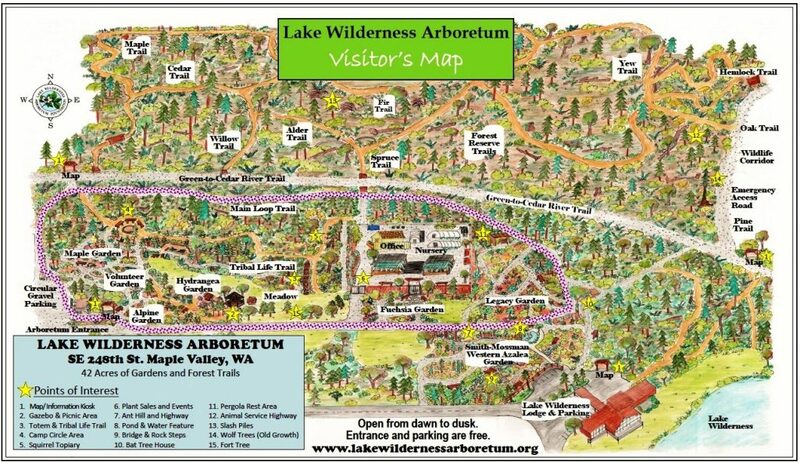 Located alongside Lake Wilderness Park is the Lake Wilderness Arboretum, home to beautiful display gardens as well as a forest reserve and children’s discovery forest. The arboretum is open to the public year-round from dawn to dusk, with 42 acres of gardens and forest trails to explore. The King County Green to Cedar River Trail, runs directly through the arboretum, with plans for it to eventually connect to the trails “Southern Segment” which is planned to run alongside the western boundary of Ten Trails.